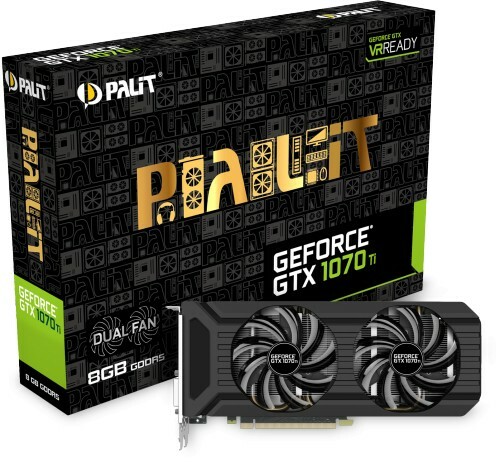 Palit's GTX 1070 Ti DUAL is a great all-rounder in terms of its price/performance balance. It provides mind-boggling speed combined with semi-fanless technology. The 1070 Ti Dual from Palit is their entry level card, equipped with an array of tech it is great for high definition gaming. 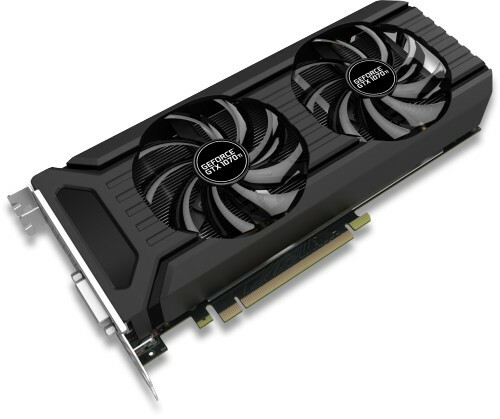 It features dual fans and its own design that provides the best cooling to performance ratio. This virtual reality ready 1070 Ti GPU is sure to immerse you in digital game worlds and great 1070 Ti performance for a reasonable price. This Palit 1070 Ti features an IO bracket that uses a honeycomb pattern which allows for an enhanced airflow, making it easier to keep your GPU as cool as possible. A cool GPU will keep you gaming for longer and keep the 1070 Ti’s performance at full power. A Dual Fan design offers double the cooling performance, and combined with the 9CM-9CM Smart Fans, heat is effectively drawn away from hot spots. Keep Silent while you are experiencing the multimedia application and general workload. The operating fans only occurs while working on heavier loading such as gaming that the GPU temperature surpasses 50°C.